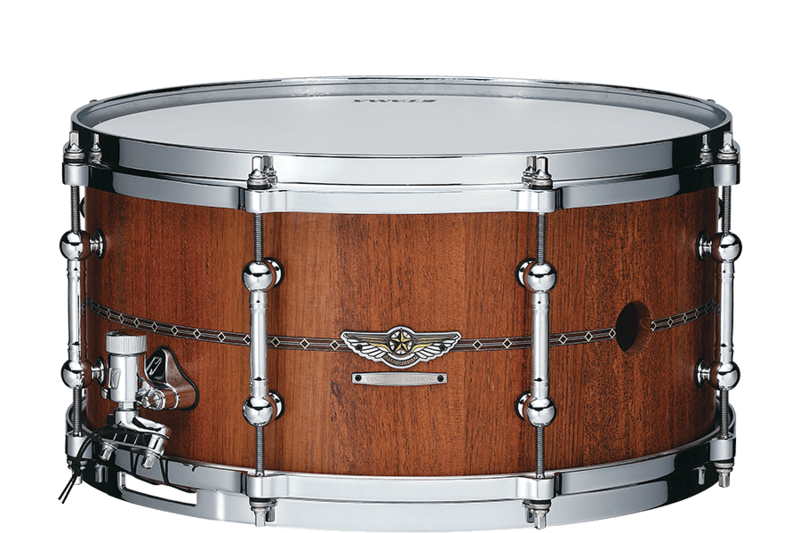 The 5th model of STAR Reserve snare drum is made of Jatoba wood. This hard and dense wood is cut precisely into 16 stave pieces and then formed into a 10mm thick shell. In addition, 3 large vent holes are cut into the shell. 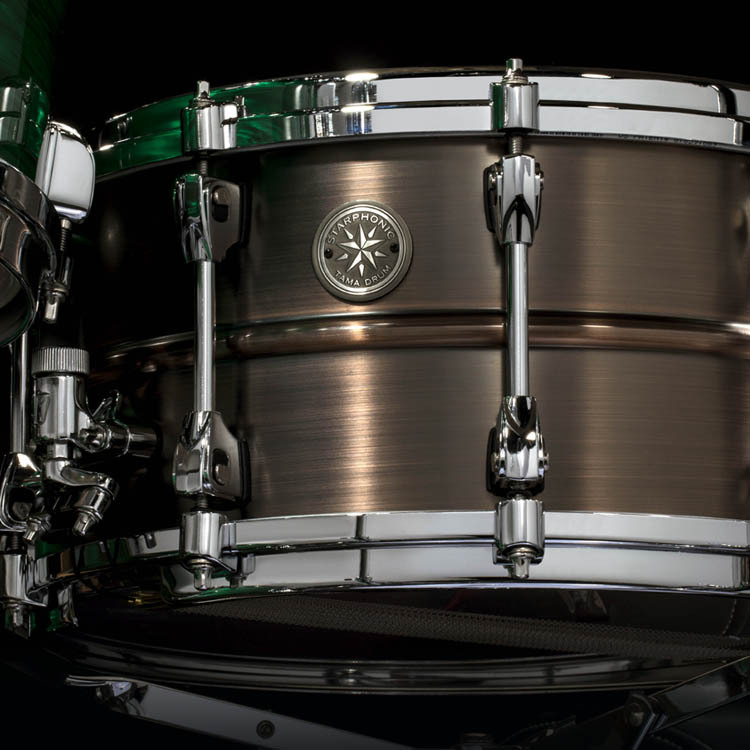 These holes make the attack more open and projected, and are a great combination with Stave Jatoba’s powerful sound. 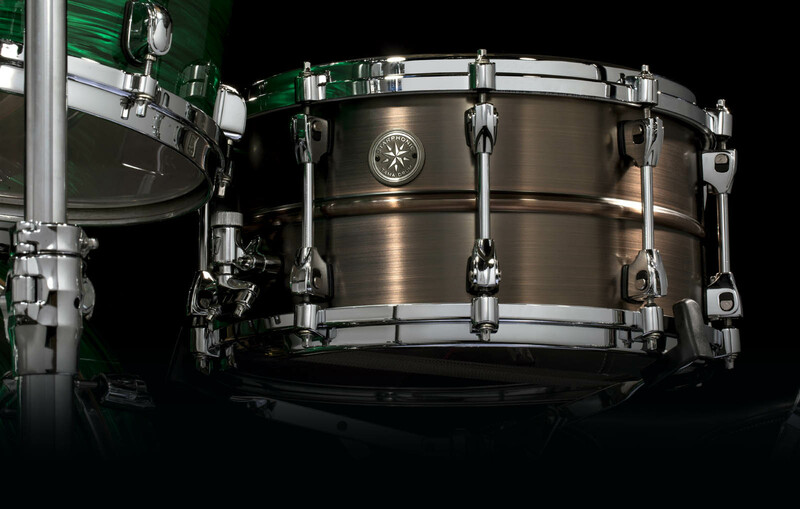 Last but not least, the STAR series standard specs; Die-Cast hoops and Super Sensitive Hi-Carbon Snare Wire add sensitivity and enhance the projection.